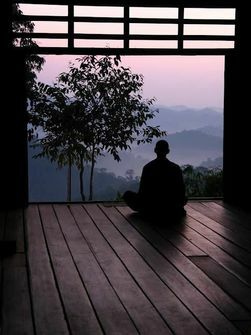 Guided meditation in the style of Thich Nhat Hanh. "Breathing in, I am aware of breathing in...breathing out, I am aware of breathing out." With the mindfulness bell and guided phrases leading into silent sitting meditation, the tensions of mind and body release. Patricia Stout has been fortunate to attend retreats with this world peace leader and master teacher and his monastics for several weeks since 2011 and has traveled to his homeland. Please join us. Value: Donations are gratefully acce﻿pted for ﻿the Women's Center. Patricia is donating her time. Held in the Great Room - enter through the front door then come to end of hallway. Registration is appreciated, but not required. Feel free to drop in; newcomers welcome. Click here to register online. You may also call or email to register.